Which teams won gold for fashion at the Olympic Opening Ceremony? The Olympic Opening Ceremony in Rio did not fail to impress. From demonstrating the rich Brazilian culture, to the beyond-incredible light show, to the Cirque du Soleil-style choreography, to the massive dance parties, to Gisele — Brazil got it done. But perhaps the most impressive part of the Opening Ceremony was the Parade of Nations, where each participating country’s athletes walked into the stadium as one united team. It was also when we all collectively realized that we need a serious geography lesson. Over 200 countries paraded through Maracana Stadium, with more than 11,000 athletes rocking their meticulously designed uniforms. Every single country looked sharp AF. Portugal wore jeans, so they automatically win the gold medal (and our hearts). 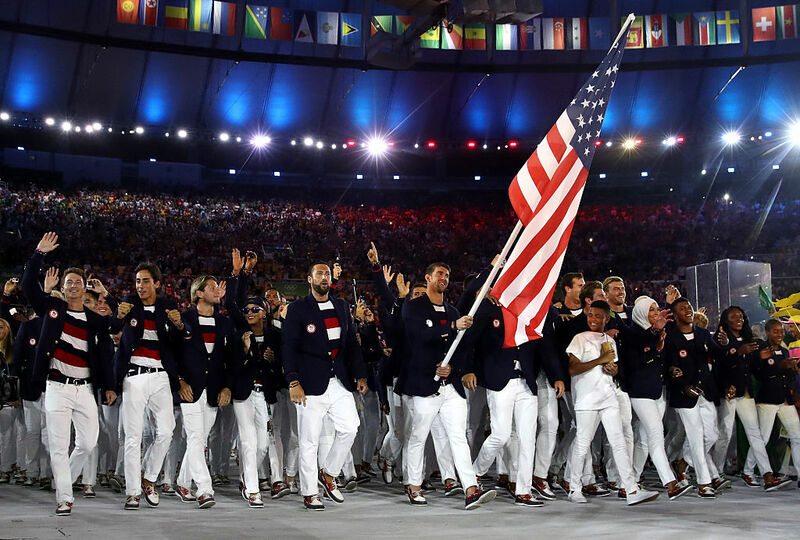 Even though team USA’s shirts looked vaguely (OK, identical) to the Russian flag, the athletes still looked fire. Australians wore Sportscraft stripes and TOMS shoes. Yes and Yes. Bulgaria — the hats, the dresses, the red jackets — the yes. Britain looked dapper, which, of course, was to be expected. Aruba’s uniforms were colorful, fun, bizarre and strangely intriguing. Burundi nailed it with their traditional clothing and LIME GREEN SNEAKERS. And then there was Tonga. Tonga didn’t even need shirts. Just a skirt, a necklace and oil. Lots and lots of oil. Needless to say, every country looked totally unique and off-the-charts incredible.